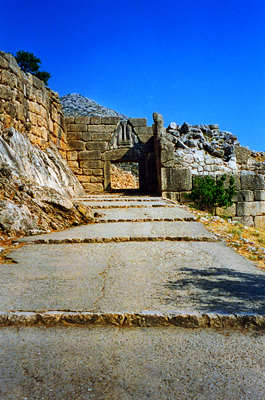 The Lion Gate at the ruins of the Bronze Age citadel of Mycenae, Greece. Add tags for "The Lion Gate at the ruins of the Bronze Age citadel of Mycenae, Greece.". Be the first. <http://www.worldcat.org/oclc/863729918> # The Lion Gate at the ruins of the Bronze Age citadel of Mycenae, Greece. schema:about <http://www.worldcat.org/oclc/863729918> ; # The Lion Gate at the ruins of the Bronze Age citadel of Mycenae, Greece.